Searching for places to visit in Northamptonshire during the first month of the year? Northamptonshire is a county full of stunning places to visit and exciting things to do. Whether you are looking for pretty walks, you want to learn more about one of the UK’s famous motor racing circuits or you wish to get musically transported to the Greek islands, the county is not short of events this January. Canons Ashby is a National Trust property and home to a stunning manor house and 18th century gardens situated 30 miles away from Rushton Hall. On the morning of the 7th of January 2018, join the New Year’s Walk and let the fresh countryside air invigorate you for the year to come. This loop walk is a fantastic opportunity to discover the beautiful estate of Canons Ashby. Rockingham is a very famous motor-built circuit hosting an impressive amount of events throughout the year for the pleasure of all motor-sports fans. On the 7th and 27th of January, Rockingham organises a dedicated tour so you can learn more about the history and facts of the tour. You will also get to access some areas of the venue that are normally reserved for officials and drivers. Northampton’s Royal and Derngate Theatre is welcoming one of the most famous musicals in the world between the 23rd of January and the 3rd of February 2018. Mamma Mia will without a doubt brighten your night and bring a Greek atmosphere to the start of the year as you listen to the revered songs of ABBA. Located only 30 minutes away from Rushton Hall, Stanwick Lakes is a beautiful site ideal for outdoors activities and covering 750 acres of parkland. You can follow the adventure trail, watch the abundant wildlife or hop on a bike around the lakes; the opportunities are endless for a fantastic nature-filled day out. 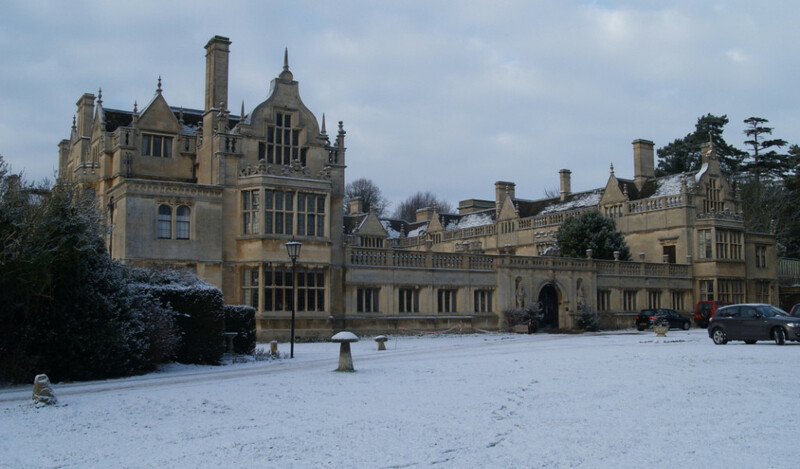 Northamptonshire is not shy of things to do in January so why not start the year refreshed? Conveniently located in the heart of the county, Rushton Hall is the perfect place to stay if you decide to explore the region and the numerous days out Northamptonshire has to offer. Book your stay now or contact us for more information. If you have any questions about, call us directly on 01536 713001.